Just like us, were you too using Zcash4win wallet to store your Zcash funds. If so then it’s time for you to upgrade to new Windows ZEC wallet client called WinZEC. Yes, Zcash4win and Zcash4mac are no more, it’s now WinZEC for Windows and Zcash for MacOS by kozyilmaz. Here in this guide we’ll show you how to safely transfer all your Zcash4win transactions to WinZEC? How to backup your wallet? 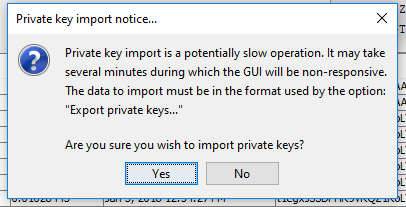 How to export / import private keys? and lastly how to move the Zcash wallet and blockchain files from C to another directory. Zcash is a decentralized privacy crypto currency. It provides features like anonymous transactions which is protected by zero knowledge proofs. Zcash is more popular and we know there is not much of introduction needed to be given. However we’d like to address one thing in particular and that is “wallet“. There is no official GUI wallet available for Zcash. 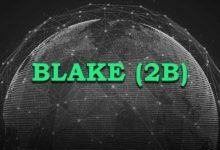 Only third party and community developed wallets can be found. You can find the complete wallet list here. Seriously we don’t understand why Zcash has no official Windows wallet client still. New users will really have a bad experience and they will process FUD in using such unofficial wallet. We hope the developers take action and develop official ZEC wallets for Windows and Mac. 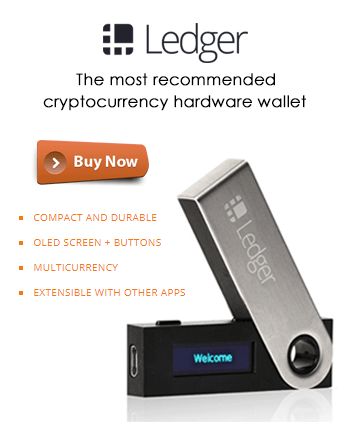 Note on Ledger and Trezar wallets: While hardware wallets like Ledger and Trezar are more secure they do not have private address support. They only support Zcash Transparent Addresses. If you want to have Zcash wallet client that runs full network node and even supports Private address then your only option is to have desktop wallet. 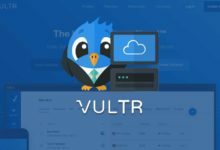 Official Linux wallet can be found here. Zcash Mac wallet client can be downloaded from here and for Windows its WinZEC which is what we are going to discuss now. For beginners we thought of making a guide on Zcash4win and while searching we couldn’t find the download link on GitHub. 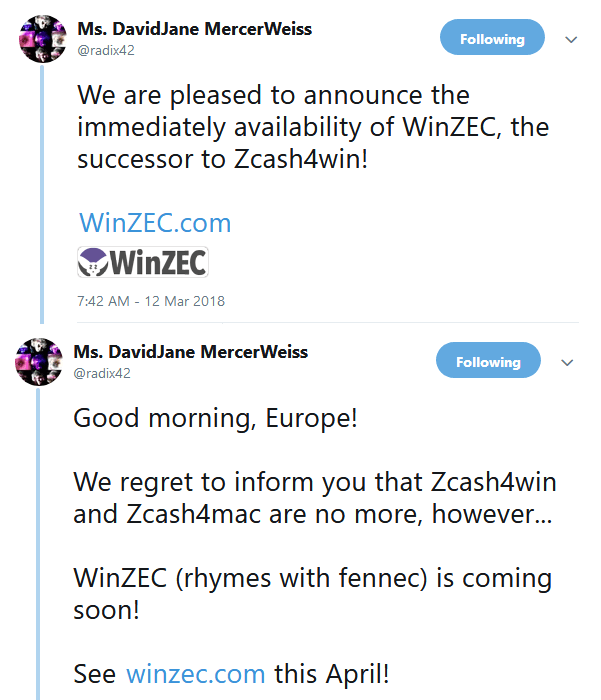 After digging through several forums and tweets we found out that Zcash4win has been replaced with WinZEC – A new unofficial Zcash wallet client for Windows. WinZEC wallet was announced on mid of March and got released this April. 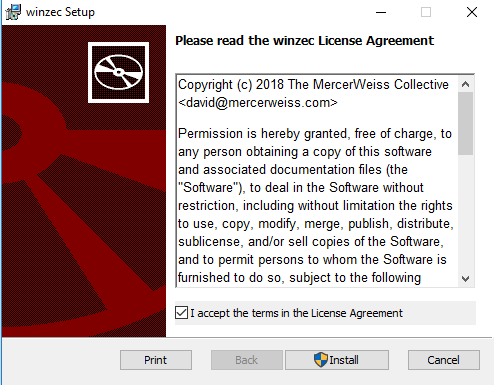 This new WinZEC wallet is from same developer (Mercer Weiss Consulting ) who previously developed Zcash4win and Zcash4mac. So when the community asked why a new wallet? This is the response from the developer. 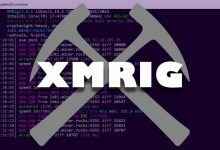 The code base of Zcash4win is old and too icky to continue updating so for future maintainability and support we released this WinZEC wallet. Below are few other questions and answers that relates to Zcash4win and WinZEC wallet. So is old Zcash4win available for download? While Zcash4win wallet is open source the developer is not interested in distributing it anymore and so they removed all the files from GitHub. If you know someone who has the Zcash4win setup file then it should work fine. 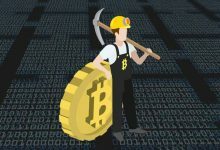 With new WinZEC wallet is it safe to use Zcash4win still? The wallet is safe to use, it will sync with the blockchain and show all your recent transactions. There is no issue in using Zcash4win, however there won’t be any more updates going further. It is recommended that you soon update to WinZEC. 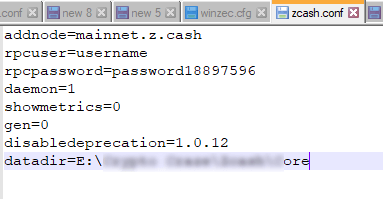 Can I retrieve Transparent and Private Zcash Address funds from my Zcash4win wallet to WinZEC wallet? Sure, the process to transfer funds from Zcash4win to WinZEC is very simple. In this guide we’ll show you how it’s done. Is there wallet encrypt feature in WinZEC? No, however there is other workaround in which you can encrypt your wallet.dat file. Before getting into this guide further we’d like to point out few things that we noticed about WinZEC. WinZEC Zcash wallet runs stable. You can’t install WinZEC when Zcash4win is already installed. You’ll have to uninstall Zcash4win first. 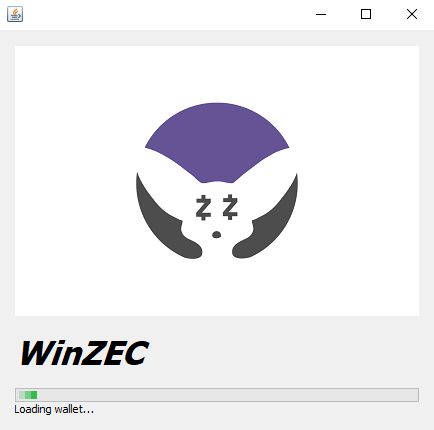 While the code-base or language in which it developed may differ, WinZEC wallet UI and GUI looks same as Zcash4win except for its logo. Even in WinZEC the option to encrypt wallet.dat file is hidden still. There is no way you can encrypt your wallet. We’ve not noticed any issues like for Eg: Zcash4win daemon is taking longer than expected to start or unable to sync etc. Note: WinZEC Github repository is empty, there is no binaries or source code available. Many users fear that this wallet may contain a backdoor to access your funds. Moreover there is no wallet encryption feature yet. 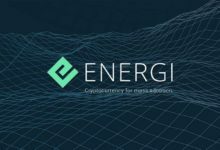 So before you upgrade to this wallet be informed about this. We’ll show you all the safety measures to be taken, however we are strictly not responsible if you lose your funds from WinZEC. You can’t install WinZEC when Zcash4win is already installed. If you do so then you’ll get this alert message from Windows. “Another version of this product is already installed. Installation of this version cannot continue. 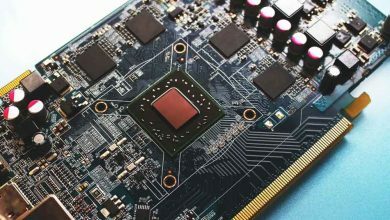 To configure or remove existing version of this product, use Add/remove programs on the control panel.” You’ll need to uninstall Zcash4win first only then you can proceed with WinZEC installation. Before you uninstall Zcash4win, export all your wallet private keys from wallet >> export private keys. Also take a wallet backup. Additionally you can also obtain private keys of both T(Transparent Address) and Z(Private Address) individually. Just right click on the address in which you have funds and click on obtain private address. This step is highly recommended; just in case if anything happens you still have your wallet backup and private keys. Go to control panel >> Apps & Features and uninstall Zcash4win. Don’t worry, it won’t clean any core files. Now go to https://winzec.com/ and download the WinZEC wallet client. Once done unzip and run the installation wizard. By default the program gets installed at C:\Program Files\winzec and it calls all the core files from C:\Users<>\AppData\Roaming\Zcash. That’s it! the process in upgrading wallet is very simple. Everything should now be fine, your balance should be up to date and synchronizing. Also there is no need to restart your computer. WinZEC client will transfer your ZEC funds and all your transactions from Zcash4win wallet to WinZEC wallet. 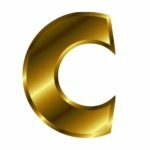 How can I change the location of WinZEC or Zcash4win wallet and blockchain files datadir? One main drawback of core wallet is that it downloads the whole blockchain to your local machine. 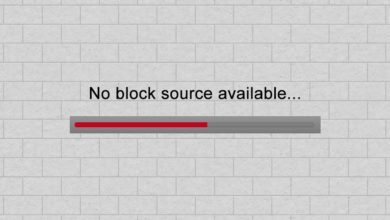 Zcash being a popular project its blockchain file size is huge, it’s almost close to 15 GB. Also by default Zcash4win or WinZEC stores these core files in C:\Users<>\AppData\Roaming\Zcash. If you want all of that stuff such as blockchain data, wallet.dat and other core files to be stored in a different place then here is how it’s done. Make sure your wallet is closed first. Step 1: Go to C:\Users\AppData\Roaming and you’ll find two folders namely Zcash and ZcashParams. Within ZcashParams folder you’ll see files such as sprout-proving.key and sprout-verifying.key. These key files cannot be moved. However the main blockchain and wallet files that you see in Zcash folder can be moved completely. Step 2: Open Zcash folder and except zcash.conf move all other core files to any directory where you have enough space to store. You can even move these files to external hard disk. Step 3: Now edit zcash.conf using notepad or notepad++ and add the following code. Make sure you specify the blockchain path correctly. When you are sure then save the config file and open your wallet, it will call all core files from the directory you mentioned in config file. Hope this helps. 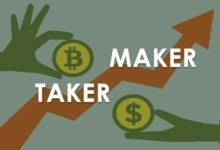 For more information we suggest you to read this article on Bitcoin QT wallet where we explained about everything in and out. How to import private keys in Zcash4win or WinZEC? Just with your private keys you can import paper wallet or online wallet from / to any wallet client. But to import a wallet to Zcash4win or WinZEC you’ll need both public key as well as private key. Let’s say you have your Zcash funds in Jaxx wallet and would like to import it to Zcash4win or WinZEC. You’ll need to have the public address and the associated private keys. To import private keys first we’ll need to create a file with all public and private keys. Once done we can perform the import. Open notepad or notepad++ and input the following where the first part is private keys and the second part is wallet address. You can add n number of address. Remember the more you add, the more time it takes to import. Also just leave the date and time part as it is. Once it’s done go to File >> save as and select all types. Now save it as walletimport. There should not be any .extension next to file, the save format should be plain file type. Now open WinZEC or Zcash4win and go to wallet >> import private keys and open the file which you saved with all private and public keys. The wallet will start freezing, just leave it for a while and it will complete the import process. Once done you should receive the success message saying “wallet private keys has been successfully imported”. How to encrypt this wallet? There is no build in security feature like wallet encryption in Zcash4win or WinZEC. If someone can access your computer then they can easily steal all your funds so it is highly recommended that your wallet stays encrypted. Even though there is no option to encrypt from GUI there is another workaround which you may find useful. Wallet.dat is the main file that gives access to all your funds. What we are going to do is encrypt the wallet.dat file using 7zip and then trash or move the wallet.dat file to external hard disk or wherever you feel it’s safe. By doing this nobody even you can’t access the wallet. Whenever you wish to open the wallet you’ll need to unzip or restore the wallet.dat file because the wallet won’t read the encrypted files. 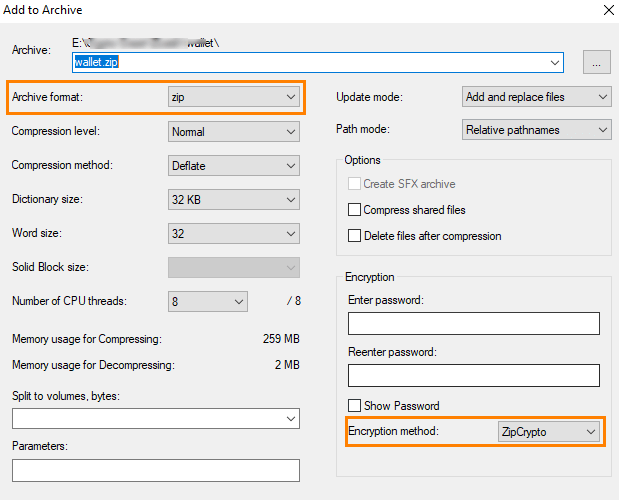 Choose archive format as ZIP and choose encryption method as ZipCrypto. Now in encryption field enter your password and click on OK. It will create a wallet.zip file. Now remove the wallet.dat or move it somewhere. That’s it! Your wallet is safe and secure. From now you’ll have to unzip this file or restore wallet.dat each time before you open your wallet. Zcash4win is active, accessible and you can use it still. However in upcoming months the support will be dropped completely. So it is advised that you soon transfer all your ZEC funds to WinZEC or other Zcash supported wallets. We hope the above guide will be helpful, if so then please do share it. 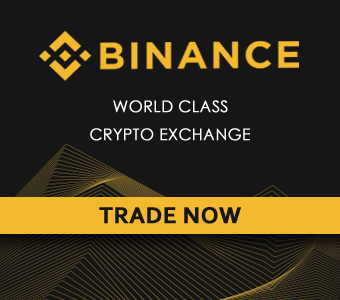 Also if you have any questions regarding WinZEC wallet such as taking wallet backup, importing private keys, encrypting or moving blockchain files then please feel free to comment it. We’ll be happy to help! Please help me, WinZEC not working. This is the error I’m getting. “daemon is taking longer than expected to start”. Hello, Zahid. We’ve not experienced this error in new Zcash wallet. But we faced this when using Zcash4win and what we did is upgraded to the latest version. We suggest you to completely uninstall and reinstall WinZEC. In most case it should resolve your issue. Also remember to take a backup before doing this. I apologize if the article mentioned it and I just missed it, but the new winzec wallet is not compatible with the upcoming cash 1.1.0 upgrade schedule for June 2018, and as such we will be required to upgrade once the new version is available in the coming months. Don’t freak out, just be on the lookout! Zec4All! 1.1.0 available and is overwinter compatible. Apologies for erroneous post, should have said 1.0.12. Hi, I need help, I’m still using my zcash4win until now but one day I can’t open it. I only notice there is new wallet is available when I can’t open my wallet. Is there anyway to backup my private key since I can’t open my zcash4win. Sorry for the late reply, Eric. Such errors usually occur when you don’t close your wallet properly (force closing it when is working). Not to worry. Just head to C:\Users\username\AppData\Roaming\Zcash and backup the wallet.dat and leave all the files as it is. 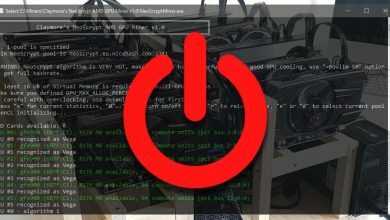 Next follow this guide to uninstall Zcash4win completely and install WinZEC. This should work. If you still face any errors then please let us know so can help you with a new solution. Daniel, has the daemon stopped working or you are getting this error “daemon is taking longer than expected to start”? Daniel, did you try uninstalling the wallet completely and reinstalling it? It should work and if it still doesn’t then please let us know so we can find another solution. 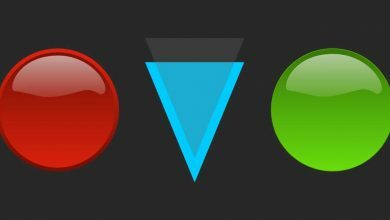 Also are you on v1.1.0? Hi, here there’s the same problem. I have free space on pc, i have disabled windows firewall, i have also uninstalled winzec 1.1.0, downloaded the latest from the website (still 1.1.0, nothing has changed, same file, same dimension), upgraded java 1.8.0_171, changed also the internet network connection, but nothing has changed. I need some help, I encountered the blue screen of death and I only have my wallet.dat file for zcash4win, the installwr for it is not available now and I dont have any copies of it, will I still be able to retrieve my funds using winzec if I replaced the wallet.dat of winzec? Sure, Kyle. Wallet.dat file is all you need. Uninstall zcash4win completely and do a fresh install of Winzec. Once done replace the wallet.dat. Remember to always take a backup. Brilliant guide, worked a treat. Had forgotten to do this before overwinter but done now. There are so many people using zcash4mac in China, but my friends and I have encountered some problems during the process. 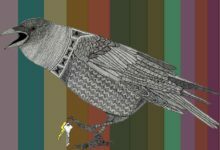 I hope I can get your help. After Zcash executed the overwinter plan, the coins we saved in the local wallet “zcash4mac” could not be sent to the exchange or used for payment. And “zcash4mac” stopped updating and could not be used. After that we ran the Zcash program under Linux, but did not put this after importing the private key (privitekey) of a T-address in the original “zcash4mac” wallet. 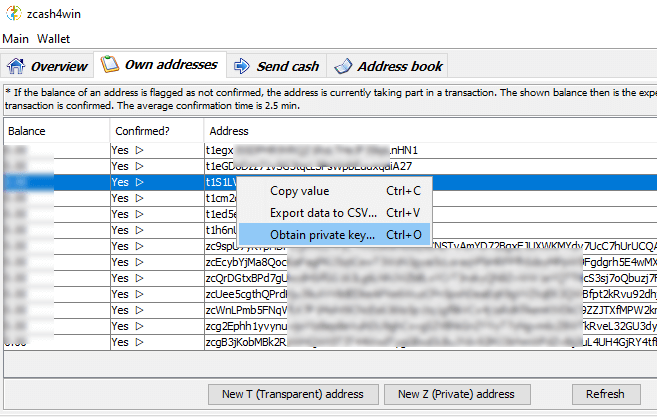 The zcash coin belonging to a T-address is imported into the Linux wallet, but if we import the file exported by the “export private key” in the menu above the local wallet “zcash4Mac” into the zcash program under the Linux system, Some zcash coins (about two-thirds) under different T-address in the local wallet “zcash4mac” can be identified. Then I can query the balance under this t-address in the blockchain through t-address. I have the privitekey of T-address, but I can’t use and manipulate them. What should I do, Thank you. Updated WinZec to version 2.0.1 But it does not work. Reports that daemon is taking longer. What should I do? I deleted and reinstalled, help! Due to this issue I’ve moved all my Zcash to Jaxx wallet. An unexpected error occurred when updating the GUI wallet. Please ensure that the Zcash daemon is running. Error response from wallet: couldn’t connect to server: EOF reached.